Learn techniques for perfect hand appliqué. 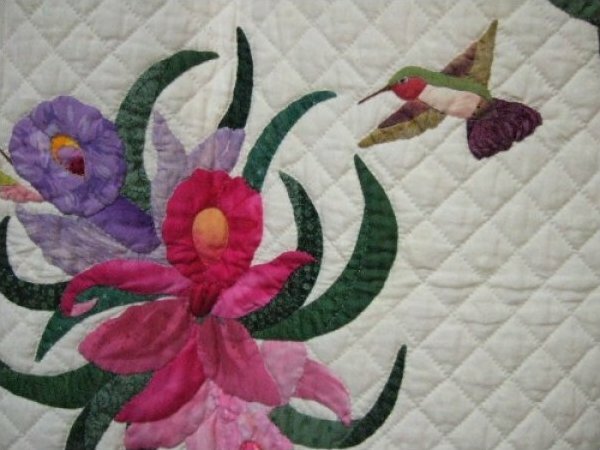 You will apply needleturn techniques to a quilt, wallhanging or miniature quilt of your choice. You will work with pattern choice and fabric selection during the first session—a variety of fun patterns will be available to purchase (traditional, contemporary, whimsical—something is sure to spark your interest). If you have a project already in progress, bring it to the first class. Bring paper, pencil and basic sewing kit to the first session. This class is geared towards all levels from beginners to intermediate students—Pat works with each student individually during class. Please note that session dates are irregular.